It appears the branch was still running as of 1953. Looks like (aside from the byway and bike path) it still has a straight shot down webb street to attach to the mainline. Looks much more feasible now, I thought originally that it would've connect via Derby (which would be impossible), thus saying it was hard to do. This is a bit off topic, but in that diagram, at the top of Cat Cove, right under Winter Island, there is a swimming pool? I always presumed that that pool was something to do with the power plant. Anyone have pictures of it when it was a swimming pool or remember it? Also, as for the freight line being put back into use, I don't see it happening. If it is being converted to natural gas especially. It looks like a good route for a pipeline or something, though. Bring the Blue Line to Lynn! I haven't seen it in person before, so I don't really know what purpose it serves. The new plant is going to only take up 1/3 of the old plant's property, the rest of which is supposed to be used to restoring Salem's waterfront, and for cruise ships to port there. As noted, it is a manmade pond of sorts, named Smiths Pool. It's basically like Pleasure Bay in South Boston. 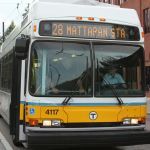 The MBTA's list of upcoming solicitations includes one for a $28 million contract for the Gloucester Draw, to be listed in May 2013. Does this draw or any others open up anymore? It seems like these should have been replaced before this happened. The draw bridge works and opens daily. Ships need to pass under, if the bridge was to be closed, it would be closed to trains. All the draw bridges on the RR are operational and are in use. sery2831 wrote: if the bridge was to be closed, it would be closed to trains. Why's that? I would think a service hundreds of commuters rely on would be more important than the convenience of a few pleasure boaters. The Annisquam River is a tidal river, with water flowing in from the Atlantic in the north, and flowing back into the Atlantic in the south. They could keep the bridge lowered permanently and no boats would be trapped "up river". Boats do have the right of way over trains. Ships/boats on navigable waterways are protected from being blocked by anything by law (enforced IIRC by the Coast Guard) probably on the theory that the rivers were there first. Back in hte 1830s or 40s steamboat owners tested this by steaming into a new bridge at St. Louis and damaging it. A. Lincoln was cousel for the bridge, and won hte right of bridges to exist, but that's only as long as they don't actually prevent river traffic. USCG still has to approve heights and alignments on coast waters I think. Anyone know if places like the Charles upstream of the East Cambridge Viaduct are permanently OK to block, or if someone could, in theory, make the T "open" the viaduct? I assume there's a sort of abandonment process for the navigable waterways that have fallen out of use, but I don't know. I agree there has to a process to abandon draw bridges. The Green Line viaduct is not really an example though. At one time that was tidal, but new locks and a new damn was put in place between the North Washington St and the railroad making that bridge high enough for the traffic that goes through there. But the North Washington St bridge does not open anymore. The Rivers and Harbors Act of 1899 (33 U.S.C. 403) was not passed until 1899 which prohibited unauthorized obstruction of navigable water in the US. Most of the bridges on the Charles would be grandfathered in as they were all built before that act was passed, not that ships would want to go that way anyway because of the Watertown Dam. There's really nothing on the river to accommodate anything that wouldn't fit anyway.